The TracPoint REVV platform is an innovative service designed to help you increase your positive social reviews and reduce negative reviews while improving your overall brand reputation online through a one question post sale survey sent to recent customers. 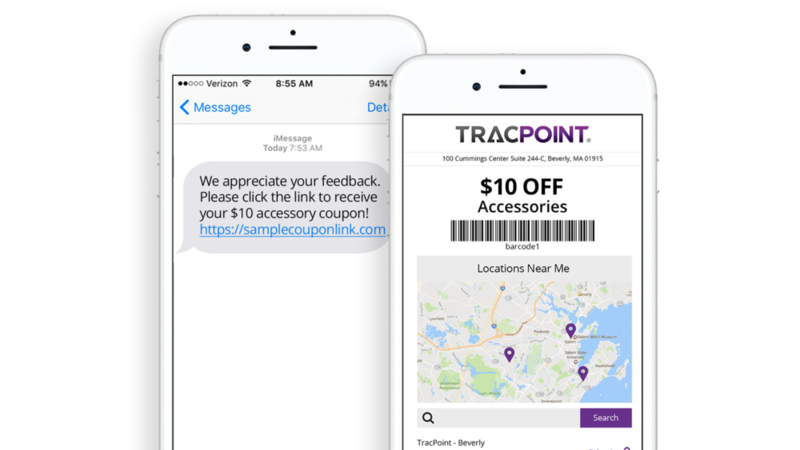 Our platform generates a quick post-sale text survey to your customers so they can provide feedback about their experience in your store. Customers who respond positively are prompted to leave a review and linked directly to that store's Google, Facebook or Yelp page. Watch your brand reputation increase, along with the volume of positive reviews for your stores! Offer an incentive for your customers to leave feedback on their experience in your store. Provide a thank you kickback coupon to anyone who completes a survey to drive them back into your store for a future purchase. If a customer responds to your survey with a rating of 3 or below, they will be prompted to leave a comment and request further assistance. Your team is alerted via email of the poor experience, and the customer can be contacted directly before they post a negative review about your company! 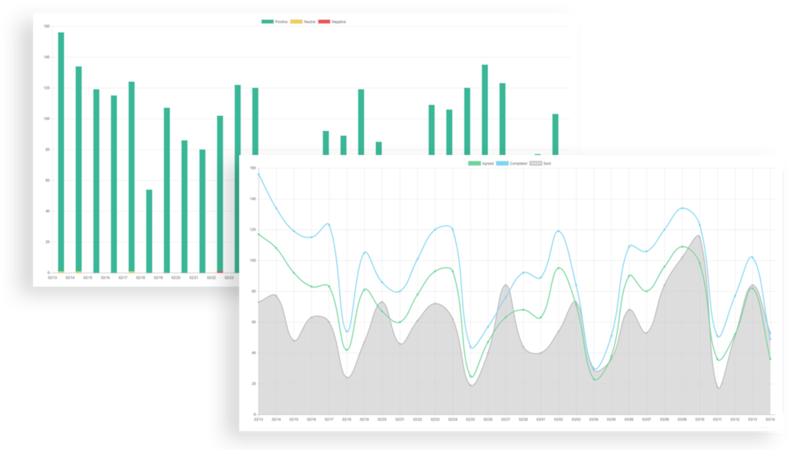 Robust analytics, so you can see how your customers rate your business. View your brand reputation by sales rep, store, market or region. Watch your brand sentiment increase over time. Add the REVV feature into your mobile app to help increase your positive reviews on social media! "This service made it easy for the reps to start the conversation about reviews and even easier for the customer to leave a review for that store. It is a great combination and I think that’s the magic."